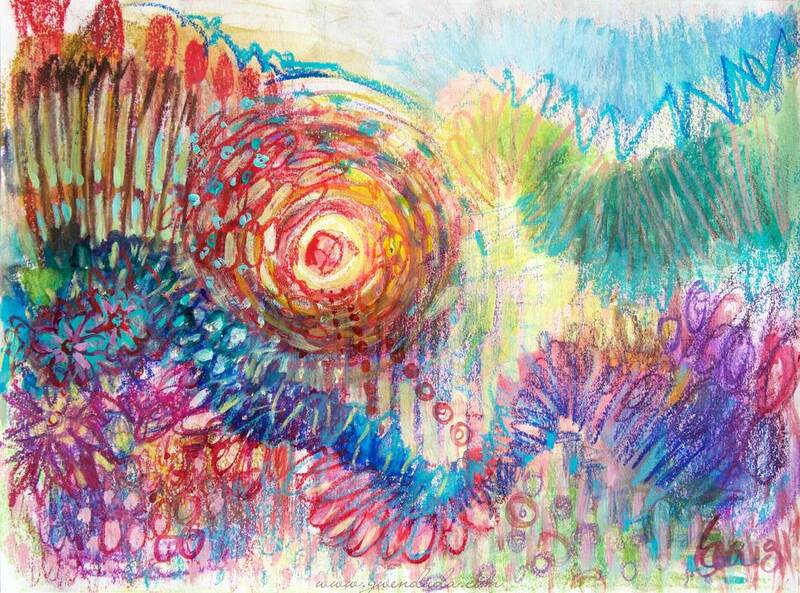 Titled "Sun Circus" this original mixed media is packed with dynamic energy and colour! There's so much going on - the sun appears like it's rolling through a packed and lively creation that it's very presence manifested! I utilized both indirect and direct painting methods to develop it. Done in neopastel watercolour pastels, watercolour pencils and Golden acrylic paints. Measures 12" (30.48 cm) x 9" (22.86 cm).